ST. GEORGE — A compromise has been reached between supporters and opponents of Proposition 2 concerning medical marijuana legalization in Utah in the form of proposed legislation, Gov. Gary Herbert announced Thursday. During a press conference held at Capitol Hill in Salt Lake City, Herbert said he will call for a special legislative session following the midterm election to address and presumably pass the proposed compromise bill regardless of whether Proposition 2 passes or fails. If Proposition 2 passes, the compromise bill would revise parts of the ballot measure that have caused opponents concern. If it fails, the bill still provides a path for state-legalized medical marijuana. “Either way, the public at large is going to win at this,” Herbert said. The compromise bill is the product of several weeks of closed-door meetings between state officials and those who oppose and support the ballot measure. Opponents are the Utah Medical Association, Utah Chiefs of Police Association, The Church of Jesus Christ of Latter-day Saints and several other groups and individuals. 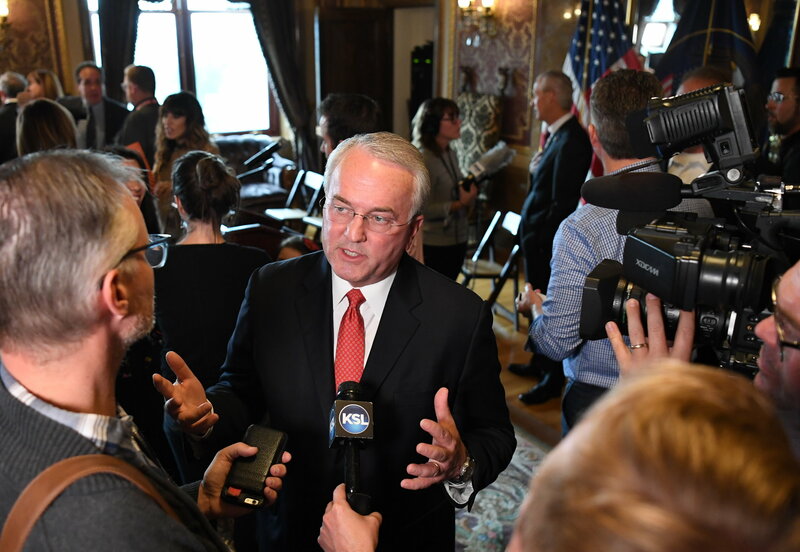 While representatives of the LDS church have stated the church does not oppose the use of medical marijuana, it objected to how Proposition 2 proposed to go about it. Last month the church called on the governor to call a special session of the Legislature to address the medical marijuana issue. “While the Church remains opposed to Proposition 2, and encourages others to vote against it, we now join with a broader community in support of this compromise,” Elder Jack N. Gerard, of the LDS church, said. The agreement in such a conservative state underscores the nation’s changing attitude toward marijuana. Medical use now is legal in more than 30 states and is on the November ballot in Missouri. So-called recreational marijuana goes before voters in Michigan and North Dakota. If passed, it will be a first for a Midwestern state. The church feared broad use of pot but Gerard said church officials are “thrilled” to be a part of the effort to “alleviate human pain and suffering” with medical marijuana. The deal has the key backing of the church and leaders of the Republican-dominated Legislature, who said the regulations in the hard-won agreement have their seal of approval. Unlike the ballot initiative, the compromise won’t allow people to grow their own marijuana if they live too far from a dispensary. It also doesn’t allow certain types of edible marijuana that could appeal to children, like cookies and brownies. Only medical doctors and doctors of osteopathic medicine can provide a patient with a dosage recommendation. The state will allow the establishment of five privately-owned medical marijuana pharmacy-like facilities. The state will also create a single state-run dispensary that will fill patient medications and ship them to their area health departments for pick up. Sen. Evan Vickers, R-Cedar City, said this type of system is based on how some other states handle dispensing medical marijuana to patients. 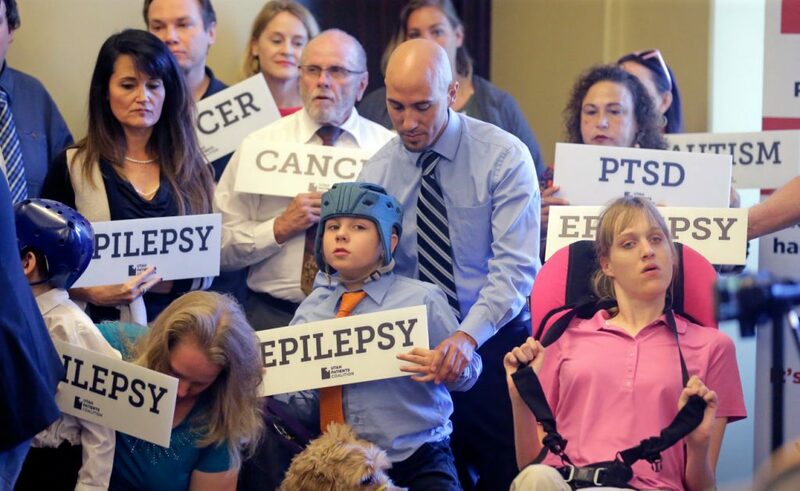 DJ Shanz, the executive director of the Utah Patients Coalition, the group that spearheaded Proposition 2, called the bill a “workable medical cannabis compromise” that will help bring medical cannabis to patients sooner rather than later. “There will be medical cannabis here in our day in Utah,” Shanz said. Boyack said, noting how heated the debate over medical marijuana legalization has been in the past. “This agreement is a truce,” he said. 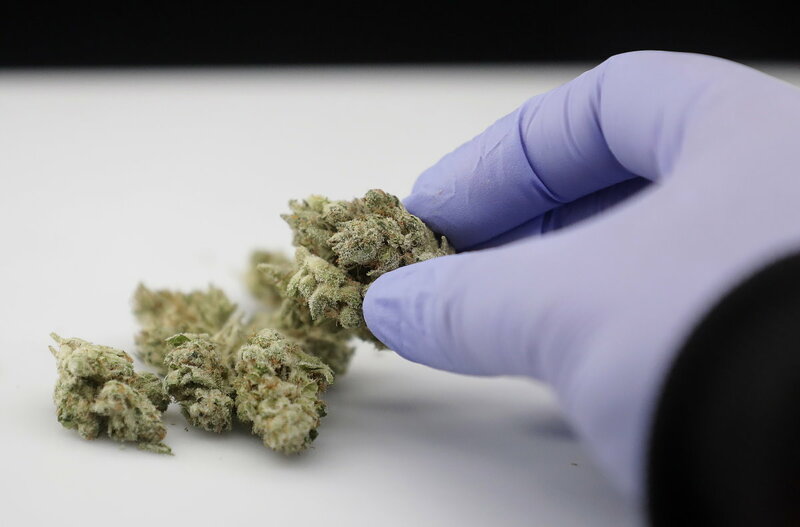 Supporters of medical marijuana have said Proposition 2 was the result of Utah lawmakers dragging their feet over the matter. While some medical marijuana legislation has been passed in recent years, its scope has been limited. This led to frustrated medical marijuana advocates creating the ballot initiative. Though he believes the Legislature would have eventually passed medical marijuana laws granting more patient accessibility, Vickers said Proposition 2 definitely sped up the process. “Let’s face it, it was a driving factor in getting us to this point,” Vickers said. Compromise version of the Utah Medical Cannabis Act. It’s not a good bill and shouldn’t be passed. If Governor Herbert is eager to sign a compromise I can trust him to do it right. This bill should NOT become a stepping stone to unbridled use of marijuana in this state. unnribled use of marijuana has been happening in Utah for quite sometime…. access to marijuana in the state of Utah is relatively simple…….lol. .. It can’t be stopped and never will be stopped. It’s on every street. It’s in every neighborhood it’s in every school …its here ! So is there anything actually keeping the legislators from dropping the bill if prop 2 doesn’t pass? “The compromise bill is the product of several weeks of “””closed-door meetings””””…. Hell of a way to run a Representative Republic! How nice the LDS church was involved in negotiations. Not! They tell their sheep how to vote and influence legislation. I think we need Proposition 3, Tax Churches. It’s all about the Millions in Taxes the Utah Govenor found out he could make selling dope…follow the money people, just follow the money..